Beyond the makeup—and into true musical mayhem. For countless millions of hard rock fans, Kiss is the gateway drug that first got them intoxicated on the sound, fury, and firestorms (both literal and otherwise) of heavy metal. It was true when Gene, Paul, Ace, and Peter first broke huge in the mid-1970s and it’s continued to be the case all throughout the forty years that have passed since then. Kids who love Kiss tend to grow up to be teenagers and adults who love metal. Many of them, in fact, grow up to make heavy metal. As a result, groups across the entire spectrum of rock subgenres routinely cover Kiss songs. However, when it comes to paying homage to “the hottest band in the land” with the same level of profound passion and insane inventiveness, nobody does quite like artists among heavy metal’s outermost fringes. Here now are our picks for the Top 10 extreme metal covers of Kiss classics. The word “Ulver ”means “wolves” in the language of the band’s native Norway, and that’s how this ever-shifting cabal of experimental metal innovators tears into this number from Kiss’s Hotter Than Hell album. 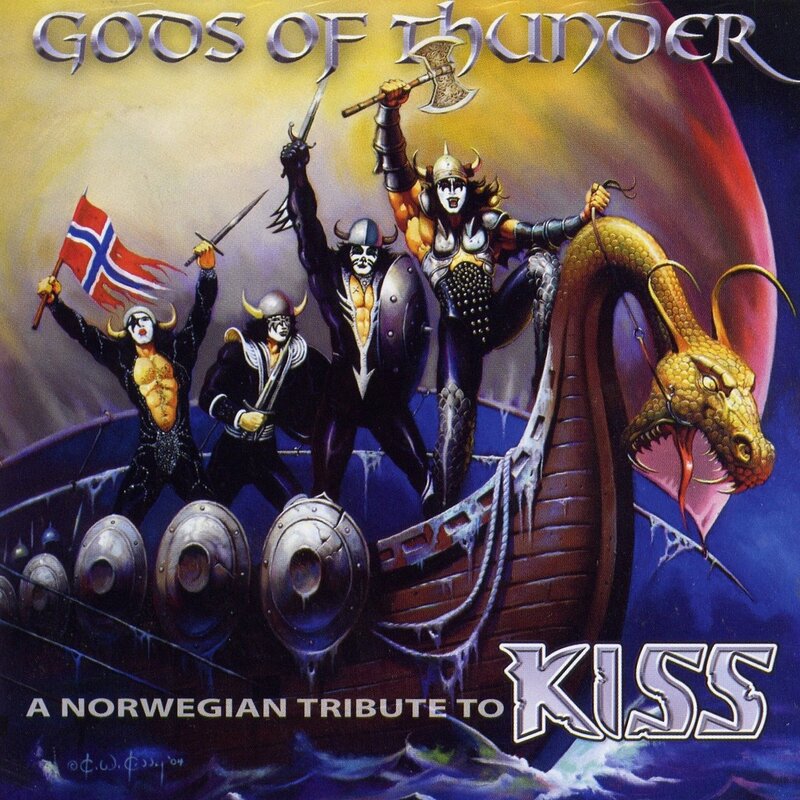 It comes from the remarkable 2005 LP Gods of Thunder: A Norwegian Tribute to Kiss, which features an array of different Norse players and boasts a stupefyingly awesome cover painting of Kiss as dragon boat Viking warriors by Ken Kelly, the visionary artist who created the original covers of Destroyer and Love Gun. 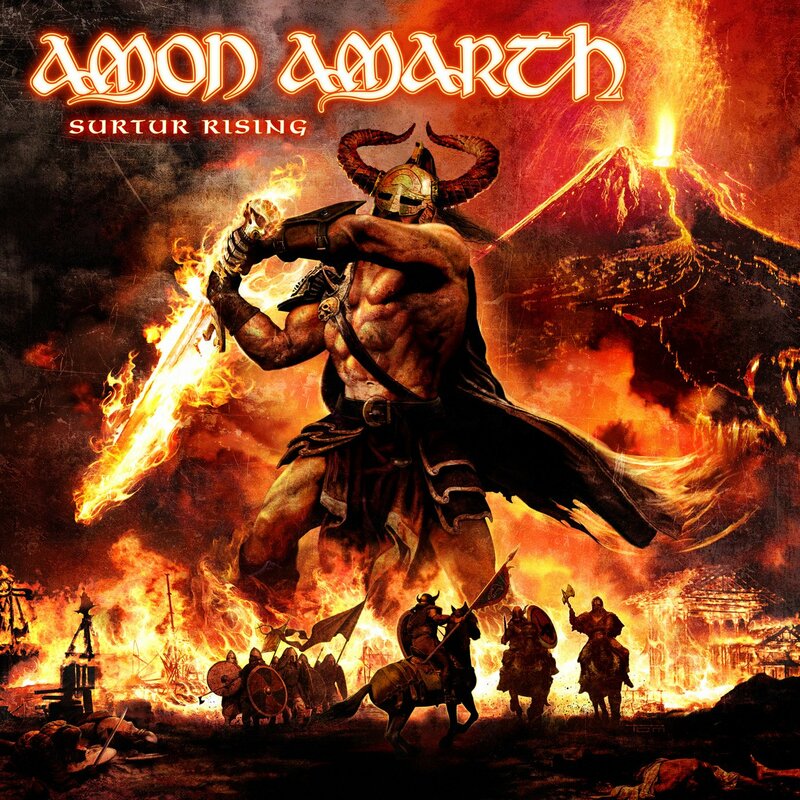 Swedish melodic death metal marauders Amon Amarth included their take on Kiss’s “War Machine” as a bonus track on the deluxe release of Surtur Rising. It’s paired with AA’s version of “Balls to the Wall” by Accept and, back to back, these songs pierce the listener’s consciousness like the flaming sword being swung by the horn-hatted barbarian badass emblazoned on the album’s cover. It takes nerve, confidence, and extraordinary talent to attempt a song from Kiss’s lovably lamented 1981 concept LP, Music from the Elder. Fortunately, for us and for the track “Only You” alike, Doro Pesch possesses all those qualities and more. Just listen to her glorious reworking of what would likely be a boondoggle if mounted by a lesser vocal Valkyrie. Mighty power metal mavens Iced Earth open their covers LP, Tribute to the Gods, by blazing through “Creatures of the Night.” They also take on “God of Thunder,” but kicking off with “Creatures” serves as the album’s definitive statement. It declares that IE are those nocturnal beings and the anthems they perform by AC/DC, Iron Maiden, Blue Öyster Cult, Judas Priest, and Alice Cooper are the ultimate soundtrack to their adventures under cover of darkness. Beyond Death Angel, the song was covered live by the combined forces of Pantera and Skid Row on their 1992, as well as being recorded by (among others) Disturbed, L.A. Guns, and Kalmah. Trailblazing Swedish extremists Bathory had moved from inventing black metal to incorporating Viking metal into their sound to evolving toward thrash by the time they got around to covering “Deuce” on their Octagon album. It suits the song well, and unearths evil inherent in those grooves that perhaps even Gene Simmons, the fire-breathing Demon himself, may never have lapped up. Pantera guitar guru Dimebag Darrell was such a Kiss fanatic that, after his tragic on-stage murder in 2004, he was buried in an official Kiss Kasket. Lucky for both Darrell and his fans, the Texas fret-wrecked got to lay down “Snowblind,” from Ace Frehley’s classic 1978 self-titled solo album, as part of the collection, Return of the Comet: A Tribute to Ace Frehley. And what a tribute it is! The mountain-tall, canyon-stomping, brontosaurus-strength rhythmic riffs of “God of Thunder” often prove irresistible to metal combos, particularly if they’ve got a ferocious bass player. Just a few of the metal titans who have their own “God of Thunder” tracks are White Zombie, Death, Iced Earth, and Raging Speedhorn. Mightiest of all is the version by Sweden’s unholy death metal deities, Entombed. With its head-scratching doomed romance lament, “I’m nighty-three, and you’re sixteen,” as well as Gene Simmons in concert occasionally adding a mermaid element with the line, “Little lady from the land beneath the sea,” the proto-grunge Hotter Than Hell track “Goin’ Blind” is arguably the weirdest entry in the entire Kiss canon. As such, who better to cover “Goin’ Blind, then, than the weirdest cabal in all of sludge metal, the Melvins? The band slathers the song in wet, heavy glop, and frontman King Buzzo croaks out those bizarre words as though they’re burbling up through him from the depths of some prehistoric, wooly-mammoth-swallowing tar pit. The end result is that one of the greatest Kiss songs becomes one of the greatest Melvins songs. So that’s a victory on all counts.